Confused? Good. Let's move on. For all the hell he's wrought against filmgoers in the last ten years (I still am in awe that Memoirs of an Invisible Man isn't considered a violation of the Geneva Convention), Carpenter could probably get a pardon based on his work in two films, both undeniably classics: In the Mouth of Madness and Halloween. It is that latter film, his third (after Dark Star and Assault at Precinct 13), that will mark him as a filmmaking force to reckon with, despite all evidence to the contrary in his later works. 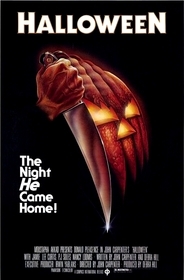 After the creepy credits, Halloween opens with a fantastically brilliant tracking shot (which appears to be continuous, but actually has three separate cuts), a POV perspective that lends the first minutes a sense of claustrophobia that is only increased when the unseen face we are peering from has a mask placed over it. A quick murder ensues, and as our subject runs outside, a man reaches for the mask and asks "Michael" and the camera spins around to show us -- a 6-year-old boy in a clown costume. Then, we cut to 15 years later. Michael escapes from the institution he's been held at for many years. He heads back to his hometown of Haddonfield, with his obsessed doctor on his tale. After these scenes, the film switches gears, and becomes almost exclusively about Laurie Strode. Why Laurie Strode? It's an interesting question. The most obvious answer would be that she gets attacked by Myers later in the film. However, one then has to consider why he goes after Strode. Halloween II and the god awful Thorn trilogy that comprised 4-6 could answer that, but it's still not completely sufficient. It's important to key into the topic of discussion in the classroom scene. It may seem like a lot of background jargon at first, but it's very important. My contention is that John Carpenter was telling a much larger story here, one that was ultimately muddled with each successive sequel (minus #3, for obvious reasons). It's interesting to note that Halloween: H20 replayed this scene using a different topic, and it worked there, too (although to say that H20 is deep may be going too far). Jamie Lee Curtis fends off The Shape in John Carpenter's Halloween (1978). Further questions to ponder. Why does Michael lie in wait? He has perfect opportunities to murder Laurie and her friends (and Tommy Doyle for that matter)...but he waits until dark. He waits, and he watches, all the same. Delving into this further, Michael's first attack on Laurie fails. His knife only skims a still target. He had an entire back to aim for, and he hits the arm. Could it be that Strode scares him in some way? That would be interesting -- the bogeyman afraid of the victim. Yes, I said "bogeyman" because that's what Myers IS. Lest we forget, he's credited as "The Shape" in the closing credits. Carpenter's apparent intent was that we never relate with him as a human being, so his revelation as such is actually shocking, even though we technically have been aware of the fact for some 80-odd minutes. Note how, even in his escape from the institution, we're not shown his face. When his head does make an appearance, it's covered in a mask (of, interestingly enough, William Shatner's countenance). Back to my corner-of-the-eye spiel, though. As has been noted by more prominent critics than myself, Carpenter's most apparent contribution to Halloween was his full utilization of the widescreen frame. Frequently, he stuck the Shape just in the corner of the frame, as if you might not really seeing him. This is most apparent in the classroom scene, and later outside of Laurie's bedroom. The bogeyman. The Shape in John Carpenter's Halloween (1978). By creating this expectation, Carpenter was later able to set up scenes where we simply watch blank space, and the fact that there is nothing there becomes equally frightening, because if the Shape isn't there...he could be anywhere. This technique (if one could call it that) would later be mangled horribly in any number of terrible 80s slashers (including the Friday the 13th movies). No proper look at Halloween can be had without a look at one of its most vital elements: the character of Dr. Loomis. Outside of Pleasence's acting of the role (which is superlative), the presence of Loomis is notable in the annals of classic horror for what he represents - the Expert or Van Helsing character skewed. Typically within previous horror cinema, the Expert was all-knowing and brave. He knew exactly how to handle his adversary (something which often involved a complicated array of rituals and weaponry), and he was sure of his ability to handle the situation. If there was any fear in the man, he held it inside. Not so with Loomis. Loomis only knows the nature of Myers ("Pure and simply... EVIL!" he remarks to the perfunctory sheriff), not how he will stop him. He carries a gun with him, a simple human tool that could stop anything normal (and therefore is useless against Myers). Easily spooked, he sweats profusely at the thought of having to face his charge, and when he finally does, all he can do is passionately fire six bullets into him. Loomis is undoubtedly in the same vein as Van Helsing or de Richleau from The Devil Rides Out, but he's the most fallible version of the classic archetype (which may be why Carpenter originally approached Peter Cushing and Christopher Lee about the part). Of course, all of these elements are what caused Halloween to enter into our collective consciousness. It is universally recognized as one of the best horror films ever made, and I am inclined to agree. It's why I fear the cold winds of autumn afternoons. It's why I never check out of the corner of my eye anymore; I'd rather not know what's there. Submitted by Craig Edwards (not verified) on Mon, 2010-09-20 20:43. Terrific review! Superlative! Thank you for posting it! Submitted by stephen36 on Tue, 2010-10-12 02:27. For me "Halloween" is the greatest ever teenage slasher horror film. I first saw it when i was 15 and it has been in my favourite horror films list ever since. Submitted by Halloween1978 on Wed, 2011-02-23 19:30. Submitted by Anonymous (not verified) on Sat, 2011-03-19 15:21. Submitted by Bradley (not verified) on Sat, 2011-07-30 17:25. Submitted by Ray Crowe (not verified) on Thu, 2011-09-15 02:56. Submitted by Ray Crowe (not verified) on Thu, 2011-09-15 02:58. Submitted by John Hurschel Runion (not verified) on Mon, 2011-10-31 04:02.
carpenter STILL has an amazing body of work: dark star, assault, halloween, the fog, escape from new york, THE THING, christine, starman, big trouble in little china, prince of darkness, they live, in the mouth of madness and yes, even ghosts of mars (which is like assault, escape from new york, the thing by way of mario bava's planet of the vampires). all like all but four of his films: invisible man, escape from l.a., vampires, village/damned. 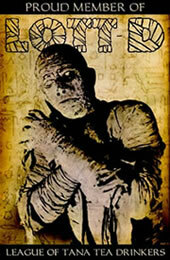 his masters of horror episode 'cigarette burns' is one of the best ever. i have yet to see the ward. Submitted by lino (not verified) on Thu, 2012-01-05 13:52.
halloween is masterpiece and simple on the same time !!!!!!!! Submitted by Anonymous (not verified) on Wed, 2012-11-21 17:13.
halloween is the greatest horror film EVER. then, tobe hooper's chainsaw and tied for number three: the original psycho and the original night/living dead. Submitted by Anonymous (not verified) on Wed, 2012-11-21 17:14.
carpenter's halloween is number one. hooper's chainsaw is number two. Submitted by Anonymous (not verified) on Wed, 2012-11-21 17:15.
bradley, if you think THIS movie stinks you know nothing of good film making...make that GREAT film making. Submitted by Anonymous (not verified) on Mon, 2012-12-31 17:50. Wonderful review of a brilliant movie. And I think the reason Michael doesn't kill Laurie and others when he has the chance is because I think he enjoys frightening his victims. Like when he grazed Laurie's arm he clearly intended to do just that, not to kill her and I feel he likes stalking, chasing and terrorizing them before murdering them. The clearest example is him setting up all the bodies in the upstairs room, he wanted her to see his work before she died by his hand.